Chances are there were many grand plans concocted over numerous beers on the day the Hawks won the flag in 2008. Equally, the chances are that few were remembered the following morning, let alone actually became reality. So congratulations to Matt Bebe and friends for turning finals fever into a bricks, mortar and steel brewery in just two years. 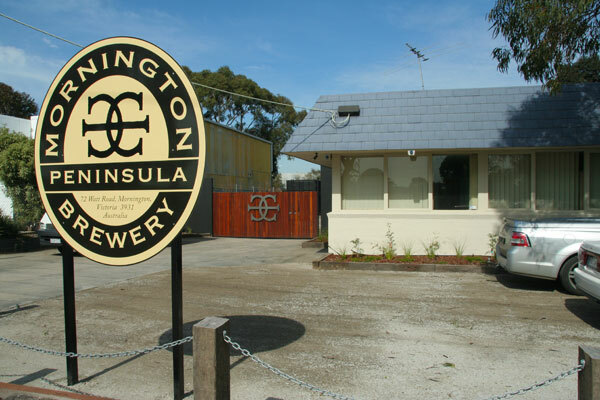 The Mornington Peninsula Brewery will open its doors on October 1 – the weekend after this year’s AFL Grand Final. Situated about 1km from the Mornington Racecourse and the same distance from the town itself (inside a building previously used to manufacture exploding golf balls), it will be open from Thursdays to Sundays when drinkers will be able to enjoy beer and pizza (from a fancy stainless steel pizza oven) at the brewery. Inside, there’s seating on ground level around the bar plus a mezzanine level where you can peer over the tanks; outside, they will be installing tables, half barrels and growing a hop arbor overhead. “We’ll be putting some beer into pubs around the Peninsula and hope to be bottling before Christmas,” says Matt. 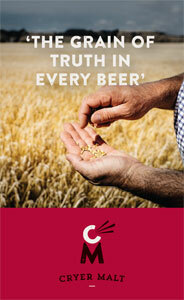 As for the logo, “it’s an old alchemy symbol meaning ‘drinkable gold’”. Brewing drinkable gold on the 10 hectilitre system is Andrew Gow, who worked at Mountain Goat Brewery in its early days before stints at Matilda Bay, on the Sunshine Coast and, most recently, at 5 Islands in NSW. 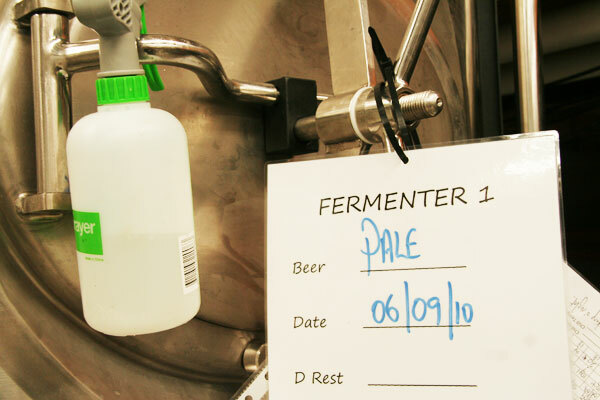 The first brew – an American Pale Ale – was brewed on Monday, with an English Brown underway today and a Belgian Witbier next in line ready for the launch. Regular seasonals, beginning with a Porter then a cider, will follow.